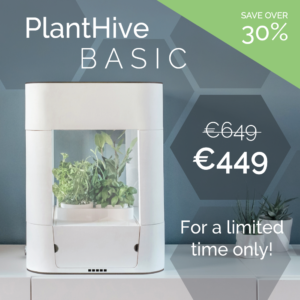 Pre-order* the full-option version of the PlantHive Smart Garden. Includes all accessory modules: Humidity and temperature control, column extensions, and the AI-assisted remote-monitoring camera. Perfect for growing medium-sized fruit, vegetables, decorative or medicinal plants. 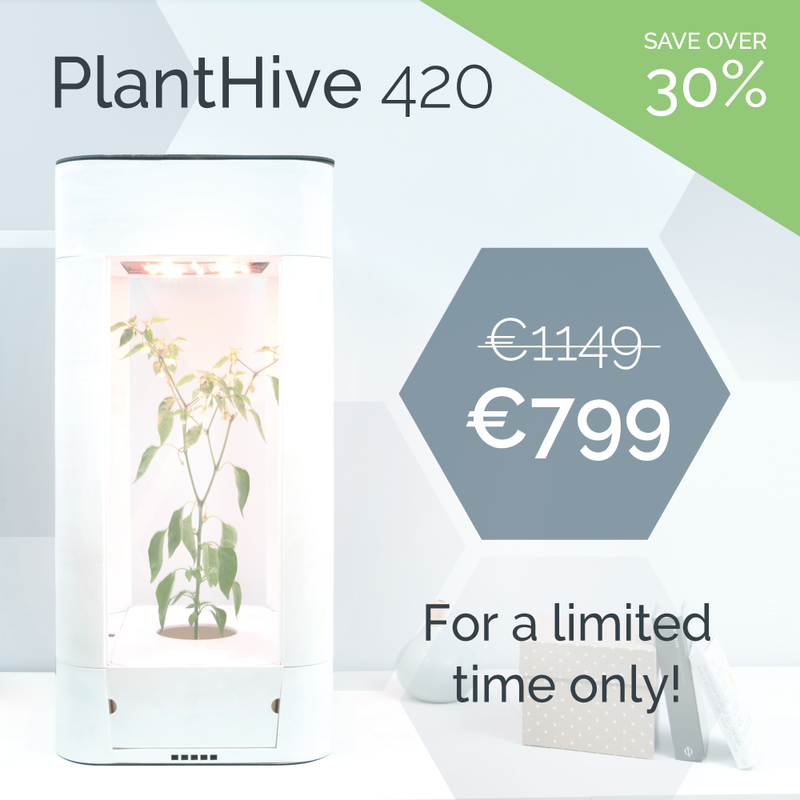 PlantHive wants to give people a new experience : discover how life can grow from a seed to a full-fledged crop, ready to be harvested and enjoyed. This state of the art connected Smart Garden provides an automated and confined environment for your favorite culinary, decorative and medicinal plants. Connected to an interactive and educational application, the PlantHive Smart Garden allows you to monitor and control your Plants remotely. Thanks to a series of interactive guides and tutorials, you will master the art of gardening with just a few clicks! Just drop the seed and get growing!